Consultation to determine wedding day makeup. Full makeup application and faux mink lashes included. Full makeup application and false lashes. No trial included. Full makeup application and false lashes. Full makeup application, without false lashes. Full makeup application with false lashes. No touch ups. There is a travel fee of $0.50/per mile, round trip for locations 15 minutes outside of MUA’s home. If a cancellation is not made within 48 hours prior to your appointment time, a one time fee of half of your appointment total will be due. Please be respectful of appointment times. 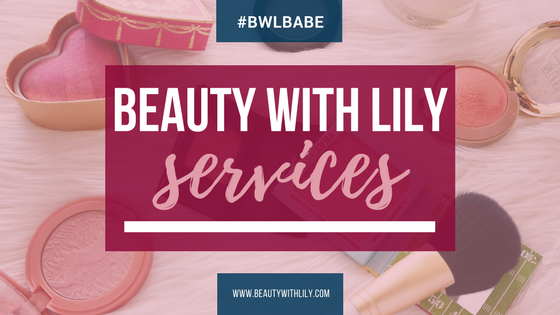 TO BOOK AN APPOINTMENT, PLEASE EMAIL BEAUTYWITHLILY@YAHOO.COM WITH MUA APPOINTMENT IN SUBJECT LINE.